I originally began working on this because my son wanted to play a giant character and he was overwhelmed by the huge number of options in GURPS and Heroes & Other Worlds. My plan was to use a Traveller style approach to turn it into more of a mini-game that had a fewer number of options at each step in order to counter his tendency towards analysis paralysis. In any event, my son began drawing maps for an imaginary world and working up characters on his own before I could complete this system. (It turned out that a few sample characters was all he needed to get over that initial hump.) While I don’t actually need this system here to inspire him to play, it bugged me that I had unfinished work in a notebook. I’ve chosen to finish it merely as an exercise in design. Step One: To determine your giant’s attributes, roll 2d6 four times on the table below. Step Two: Check for literacy. Gain Literacy on 4D/IQ. Step Three: Check for social savvy. Gain Charm on 9+ on 2d6. Step Four: Generate career. If a character fails a survival roll, he may choose to dishonor himself by changing careers to Outcast. If he makes the roll to enlist, he completes his term as an Outcast. If he fails, then he dies a particularly shameful death. Default skill table. Roll once per term. Outcasts roll twice per term. Alternate skill table. Minion, Boss, and Magi characters roll a on this table when they are commissioned and each time they are promoted. Outcasts with an IQ of 10+ may roll on this table instead of taking a roll on the default skill table. Step Five: Muster out. Roll one time on the chart below for each two terms of service completed. Roll again for each level of rank (ie, once for being commissioned and again each time the character was promoted.) The character may add his rank to each die roll if he wishes. “Weapon” indicates a good quality weapon of a type the character is skilled in is received. Boss characters make take additional weapon results as magical bonuses for previously rolled weapons. Each result of “special” confers an increasing level of special abilities: stone giant powers, ice giant powers, fire giant powers, and cloud giant powers. (To get fire giant powers, for example, you’d have to roll “special” three times.) The specifics of these abilities are left to the game master to work out. Additionally, the giant character is commissioned to establish a fortress in an exotic location that is consistent with the theme of their new powers. Step Six: Starting with the third term, the character must roll each of 3/ST, 3/DX, and 3/EN or else lose a point in the corresponding attribute. Starting with the fifth term, he must roll 4/ST, 4/DX, 4/IQ, and 4/EN. Note: This is a first draft and will probably need to be tweaked in order to get the different outcomes in line with each other. I will keep this post updated as I come across things that need to be tuned up. This is really great work, I am going to play around with it a bit! Thanks man! I think I’d heard that you could die during character generation in Traveller. Kind of a hilarious interlude if you haven’t put a whole lot of time into rolling h/h up. I always agonized over the possibility that my character might die when I was a kid, but I guess you get over that pretty quick in the B/X-based scenarios you reference in https://jeffro.wordpress.com/2014/04/01/goblin-adventure. Looking forward to how that works out! I’d like a more readable copy of the map, too, so I can steal the goblin lair for my campaign…(I’ve mentioned before, I find first-level adventures hard to come by). I’ve thought of some changes that need to be made after playing it out in my head; will get right on it! 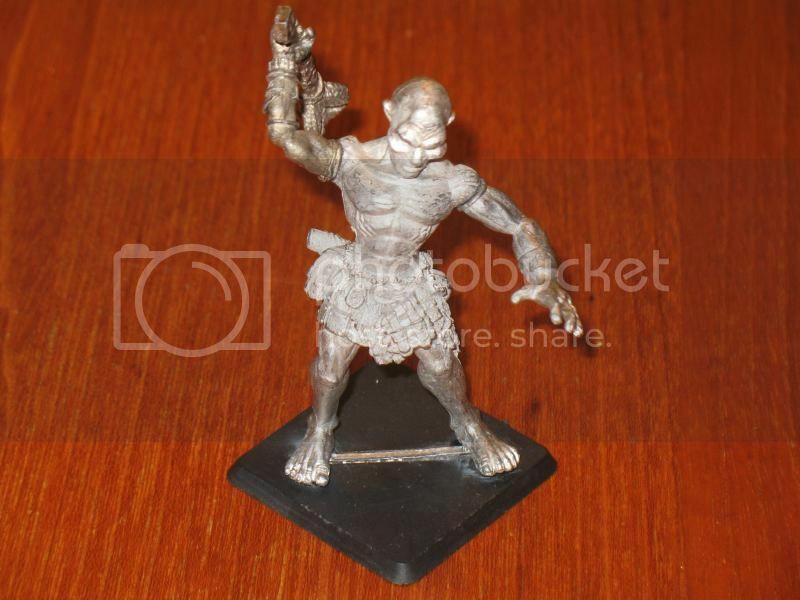 I has some monster-characters published in White Dwarf 17, including a Stone Giant. But that was nothing like your Traveller-like effort, I just provided levels for the monsters with their target being the full adult monster, so a 3rd “level” stone giant had 3 hit dice, AC6, 8 feet tall, 1-8 hitting and 2-12 rock throwing. A project that has fallen by the wayside for the time being is two PDF books of RPG articles from back then, and one of Diplomacy variants. But scanning is time-consuming. And finding the stuff can be, too.